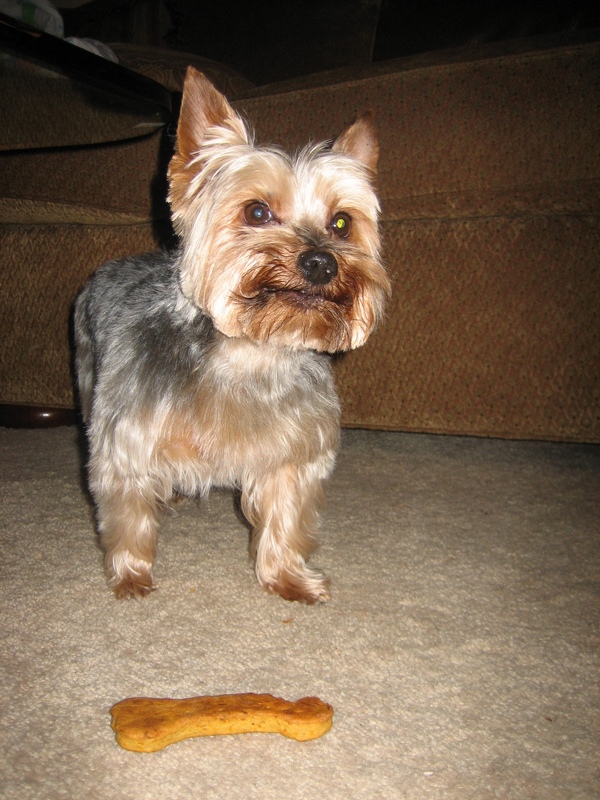 I’d been saying for a while now that I wanted to make some homemade dog treats for Rotti, our Yorkie, since his birthday was this month (yesterday, actually). Knowing that I would do this eventually–and by eventually, I mean sooner rather than later–D was kind enough to purchase a dog bone-shaped cookie cutter for me. I perused the web in search of a quick recipe that I could whip up in no time after a long day at work, and I found one via Manifest Vegan. I altered the recipe a bit, using the almond butter and unbleached AP flour that I had on hand. I baked these on parchment paper for 30 minutes. 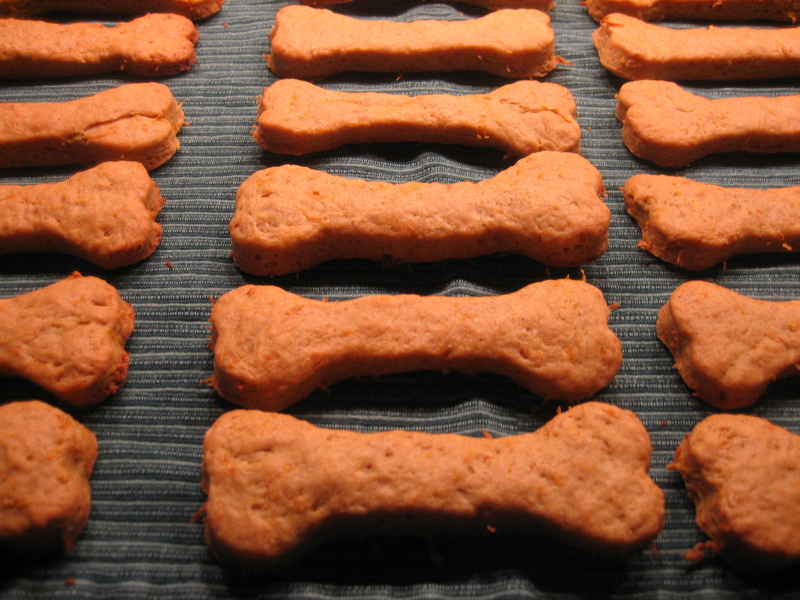 The recipe easily made 30 dog biscuits using the cookie cutter that I had. It only took a few minutes after I’d pulled them out of the oven before D was asking for one…for herself. Haha. I told both she and Rotti not to fight over the cookies; I’d made plenty! 😉 I’m glad the birthday boy loved the treats, though. He sure does love his veggies. What a very handsome boy he is. on April 12, 2010 at 12:03 AM | Reply Lisa C.
Fun working with you at VegFest! I LOVE the photo of Rotti! I need to peruse your blog for recipes — looks like you’ve got some good ones! Thank you Lisa! Glad you found your way here. *laughs* You are far more organized than I when it comes to VegFest loot; I was tearing into my membership bag and it’s goodies as soon as my rear end met the car seat!